Would you like to become a Master Food Preserver? Egg Basics for the Consumer: Packaging, Storage, and Nutritional Information (PDF 195K) - How to recognize freshness and quality in the eggs you buy for your home and family. Pantry Pests: Pest Notes for Home and Landscape ( PDF 174k) - Stored-product pests are usually brought into the home in an infested package of food. The most common insects infesting food in the home are meal moths or pantry beetles. 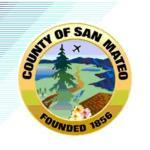 The UC Cooperative Extension for San Mateo/San Francisco office is able to test your canning gauge. Office drop-ins welcome.